The crystal life form describing humans on Star Trek Next Generation, Home Soil Episode. This book began with the notion that understandings derived from the study of simple molecules can be applied to complex biological macromolecules and systems. We developed an understanding of the structural, thermodynamic, and kinetic properties of the "simplest" biomolecules, including single chain amphiphiles like fatty acids, and double chain ones like phospholipids, and how these properties could explain the propensity of these molecules to form complex lipid aggregates (micelles and bilayers). We extended these ideas to the process of protein folding and the assembly of biological complexity. Is there something intrinsic to the property of molecules such that their localization together in the right microenvironment could lead to a "living cell"? How did life originate? That is the topic of this last capstone chapter. Defining life is actually quite difficult. Here is a list of requirements that seem reasonable, but other have noted that this list would exclude the mule. Life can self-replicate, self-sustain, evolve, respond to environmental changes, and die. 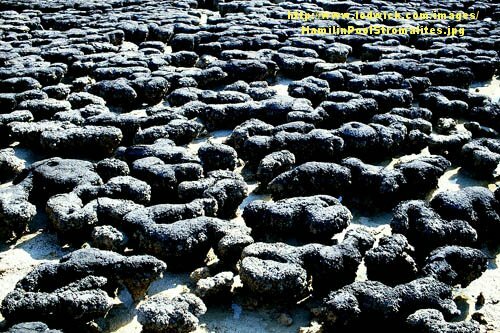 The earliest known fossils (stromatolites from cyanobacteria) are approximately 3.5 billion years old. We have just finished studying the complex interactions involved in cell signaling. How could they have evolved? Consider the central dogma of biology. In the present biological world, proteins (DNA polymerase, RNA polymerase, transcription factors) are necessary for DNA synthesis, replication and gene transcription. But you need DNA to encode the proteins. This "chicken vs egg" dilemma has been addressed when it was realized that RNA can both carry genetic information as well as enzymatic activity (even at the level of the ribosome used for protein synthesis).